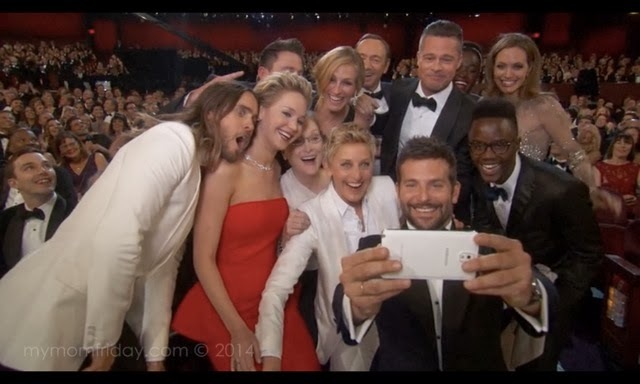 Yesterday morning, I was one of millions who watched the live telecast of the 2014 Academy Awards. 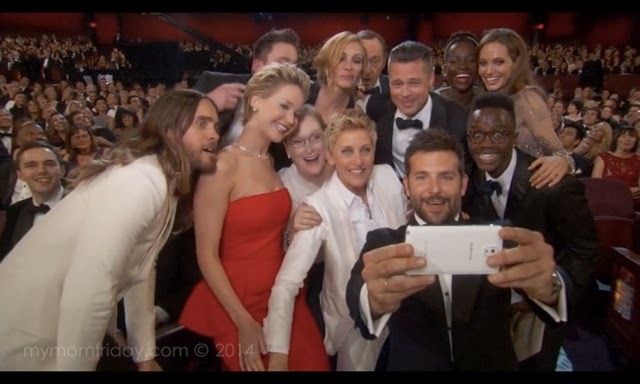 I only got to watch parts of the show at home, and luckily, I got to see how the now record-breaking Twitter and Instagram group picture of Hollywood A-listers, a.k.a. 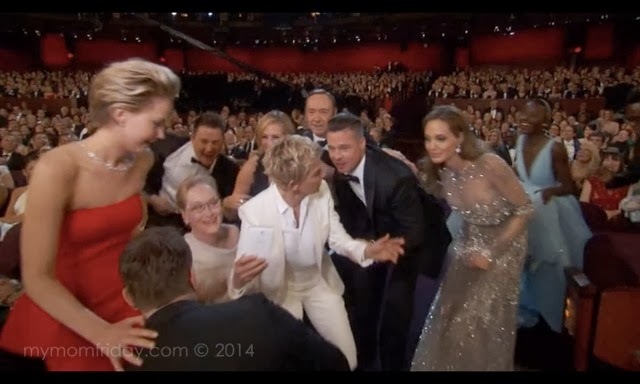 #selfie, started out with Ellen inviting Meryl Streep. 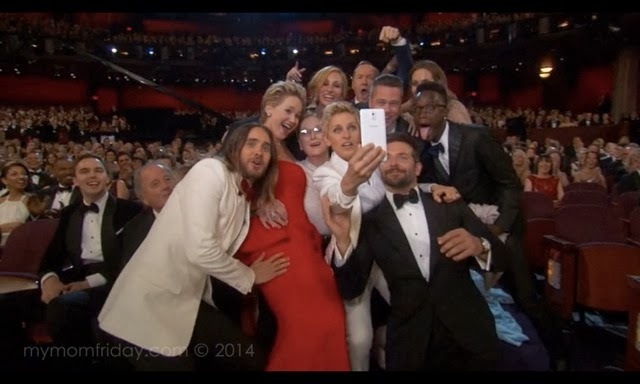 Suffice to say, this star-studded Oscars "selfie" has gone viral and has hit over 3 million retweets as of yesterday! I actually waited for their selfie to be uploaded on Twitter, and true enough, Twitter crashed with the number of people retweeting at the same time! 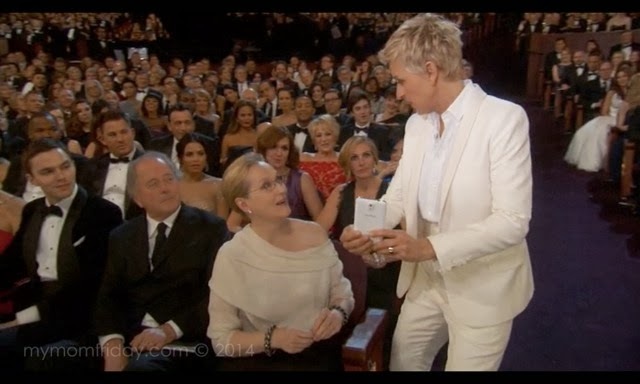 Check out the sequence below, starting with Ellen approaching Meryl Streep, saying she wants to break the record for the most number of retweets ever. They were all so funny and so game! Ellen also called Julia Roberts, but gestured she'll just put horns. She joined eventually. Brad and Angelina followed, Lupita Nyong'o and her brother joined as well. 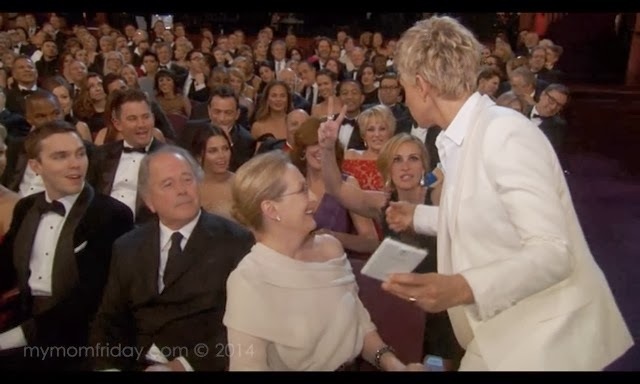 Kevin Spacey was hilarious, trying to photo-bomb the shot. 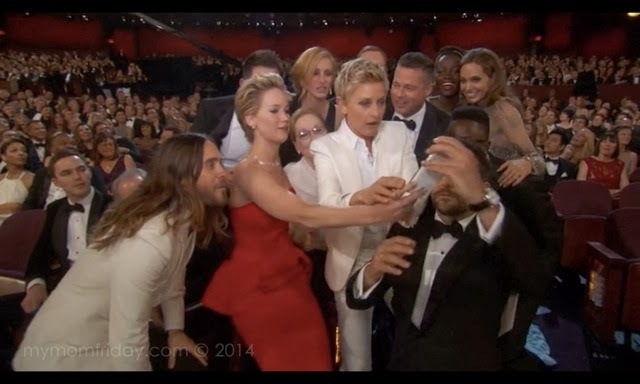 Then Jared Leto dashed to the side before the final moment to complete this epic group selfie. 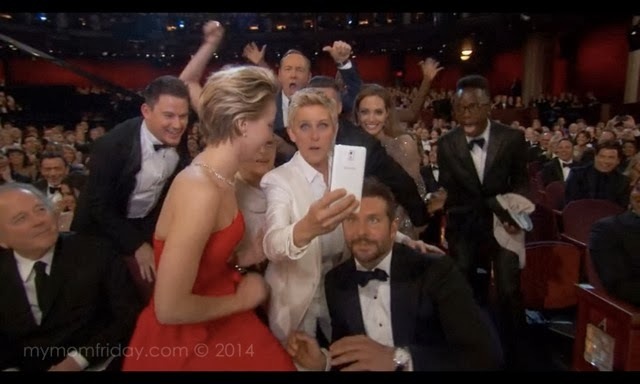 Bradley Cooper ended up taking the final shot. 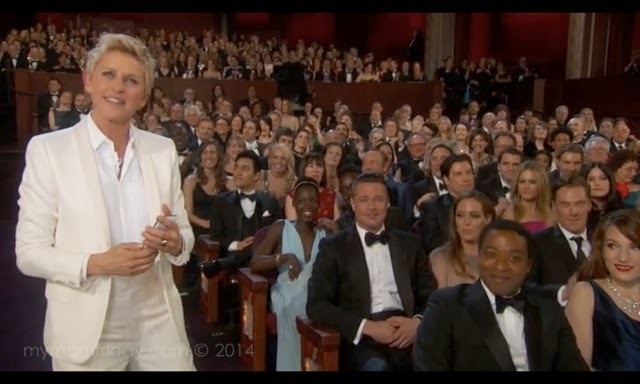 Ellen shouted, "We did it!" 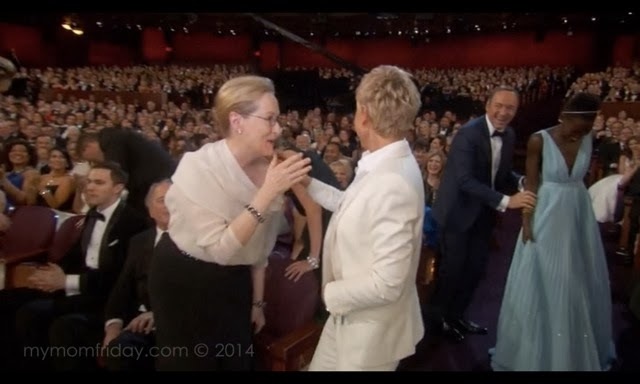 Meryl replied, "I never Tweeted before!" She's so adorable! 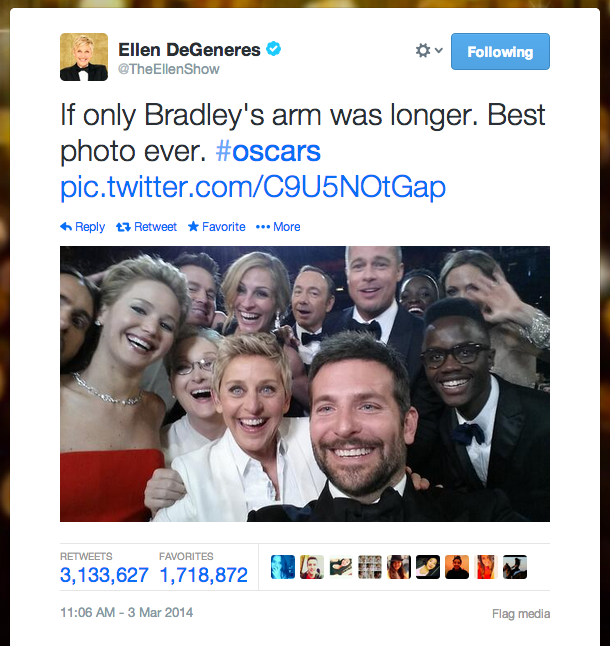 "That's the most Retweet in history!" 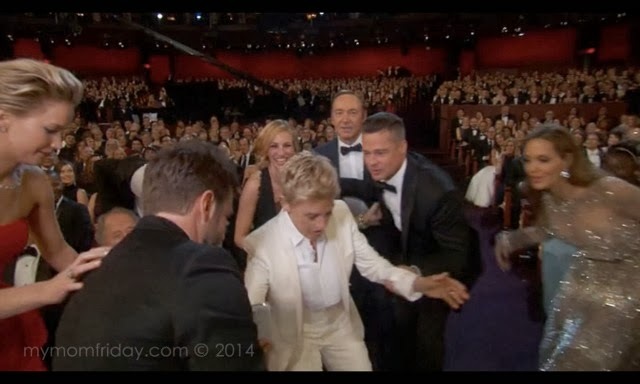 Ellen concluded. 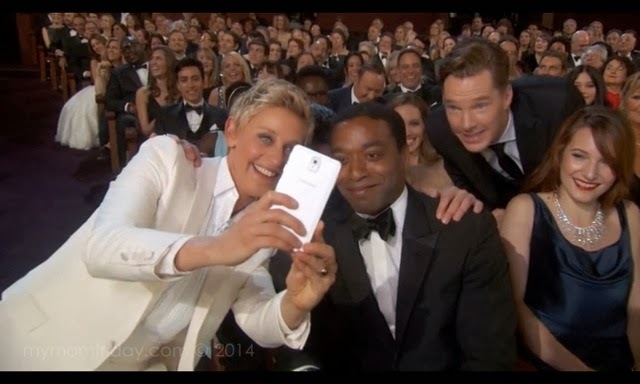 And then she had a final #selfie with Chiwetel Ejiofor, who failed to join the group shot, photo-bombed by Brat Pitt (Ellen joked that he's a photo hog, hahaha) and Benedict Cumberbatch. 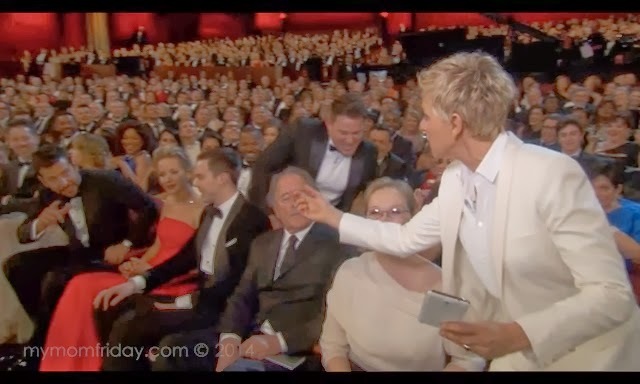 It was one of the most memorable portions of the awards show (and the pizza delivery!). What did you think of their selfie? Were you able to watch the show? 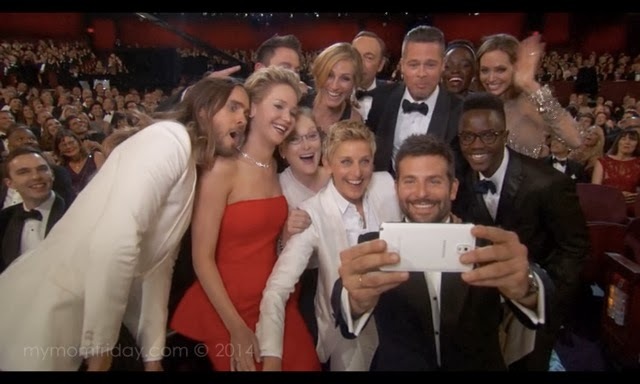 You can watch the videos from The Ellen Show with the Oscar winners. 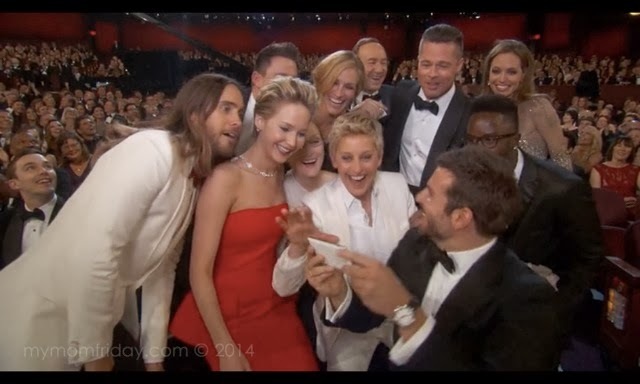 Here's one with Best Supporting Actor Jared Leto, who talked about the Oscar night and the historic #selfie!